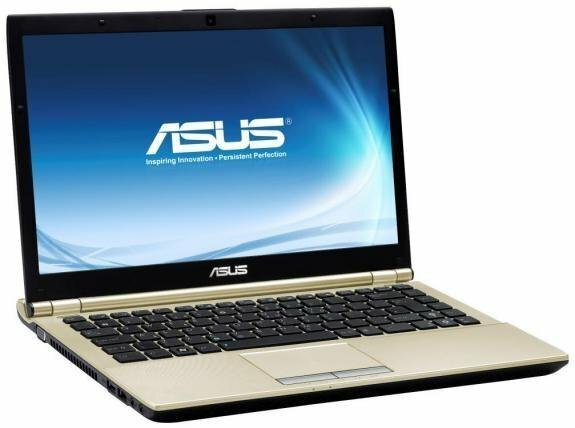 TweakTown reports ASUS' U46SV ultra-thin notebook will soon be available. This champagne-colored brushed aluminium system has shown up for pre-order over at ExcaliberPC for $879 and is expected to become official on October 1st. With a price tag of $879 in the states at the aforementioned etailer, the U46SV-DH51 measures just 1.08-inches thick and is based on Intel's Huron River platform. It sports an LED-backlit display running at 1366x768 and is powered by a Core i5-2410M processor (2.3GHz) with 4GB of RAM, 640GB HDD, 3-in-1 card reader, GeForce 540M 1GB graphics, 0.3MP camera, Gigabit ethernet, 802.11b/g/n WiFi, Bluetooth 2.1, SonicFocus audio, a USB 3.0 port, HDMI output and 8-cell battery.